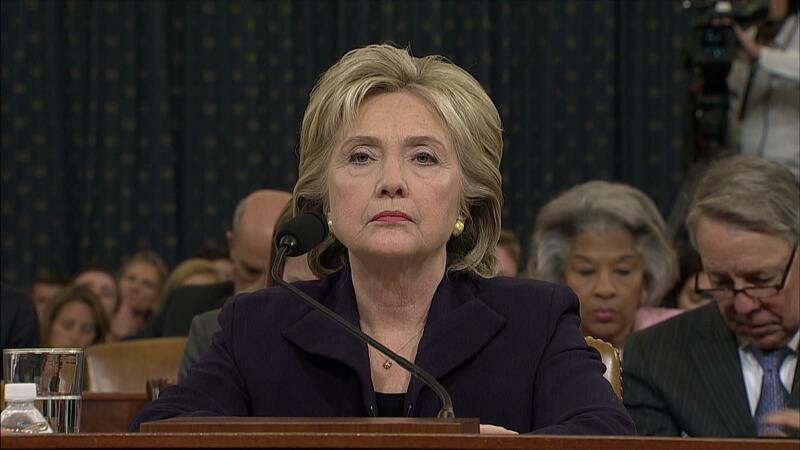 2015-10-22T14:18:08-04:00https://images.c-span.org/Files/dff/20151022151124001_hd.jpgFormer Secretary of State Hillary Clinton testified before the House Select Committee on Benghazi. The committee was formed to investigate the events surrounding the September 11, 2012, terrorist attack on the U.S. consulate in Benghazi, Libya, in which Ambassador Christopher Stevens and three others died. Many Republican committee members' questions were about the former secretary’s role in the attacks, her decision making, Ambassador Stevens' requests for more security, and Clinton family friend and associate Sidney Blumenthal. Democratic members focused on what they called the partisan nature of the committee’s investigation. 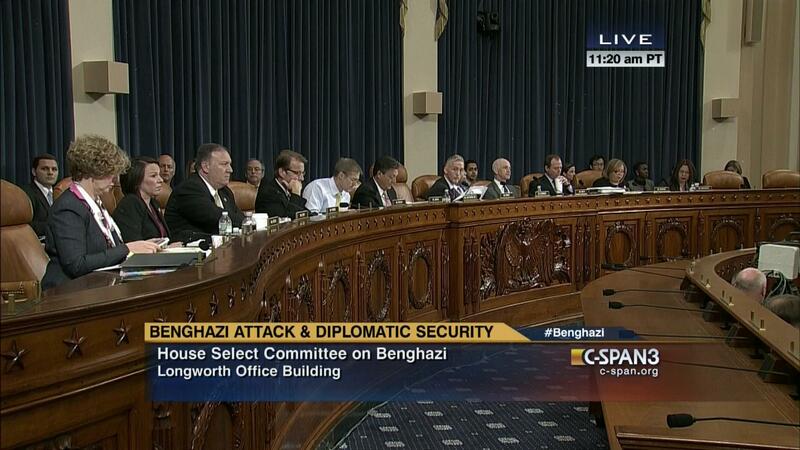 Former Secretary of State Hillary Clinton testified before the House Select Committee on Benghazi. The committee was formed to investigate the events surrounding the September 11, 2012, terrorist attack on the U.S. consulate in Benghazi, Libya, in which Ambassador Christopher Stevens and three others died.